As 4 Pumps is Australia's number 1 online pumps supplier, you've reached the ultimate destination if what you're looking for is the very best from the world of irrigation pumps that do your water transfer expertly, quickly and reliably. Irrigation projects are important and often difficult, so it's crucial you can rely on a great water pumps - and here at 4 Pumps, that's where we come in. What we stock in our range of irrigation pumps for sale is the best in quality and reputation, and meticulously hand-selected by the experienced 4 Pumps team so you can grab the water pump you need for your garden and beyond today, get it safely to your place with the extra bonus of free postage, and rely on it for years. There are a range of domestic and commercial applications for an irrigation pump, and at 4 Pumps we have every base covered because all we stock is premium water and irrigation pumps Australia can rely on that will match your job, garden, pipe fittings, budget and high standards. Our experienced and friendly team of irrigation specialists loves to create and design services and products for new large scale solutions including solar systems. And are ready to match or provide the right energy efficient and high quality water pump to your particular irrigation system, whether you're completing and installation of a domestic project or a large-scale commercial industrial application. At 4 Pumps, you'll only find the best house water pumps made by the best brands with the best reputations - because we want you to be as happy with your irrigation pump solution as we are proud of the range we put together and expertly supply. We are the ultimate irrigation pump warehouse. Sparkle Pumps, Bianco Pumps, APP Pumps, and that great Aussie brand DAB Pumps have all rightly earned their reputations for quality, longevity and their brilliant water pump testimonials from people in the know. 4 Pumps: irrigation specialists in the art of house water pumps! Almost as important as the quality of that irrigation pump Australia is asking for, however, is the supplier of the premium irrigation equipment and the designer of the pump range - and that's what we proudly do here at 4 Pumps! The art of water transfer, house water pumps, water tanks, pipe fittings and irrigation systems can be notoriously difficult and confusing, and too many irrigation pump suppliers assume you know exactly what you need to select from the range for your garden and application. But if you don't, we're here to help. Our range of water irrigation pumps, for domestic, commercial and even rural applications, can be ordered right from the 4 Pumps site and delivered with free postage, or you can call us so that our three generations of experience in the pumps game can be passed on to you. Why might 4 Pumps' years of industry experience in irrigation pumps be important to you? Because, as we said, water irrigation systems and fittings are complex and it's important - for your sanity and your hip pocket! - to get it right first time. Depending on your particular irrigation system plan, the type of irrigation pump you will need may differ substantially. Too many people buy the wrong pump or pipe for their irrigation system - and it's important to know there are many different kinds of irrigation pumps n more. There are diesel irrigation pumps, centrifugal pumps, electric irrigation pumps to handle high pressure, submersible pumps, stainless steel pumps and fittings, pumps for drip irrigation systems, and so much more. The pump size, your water tanks setup, pressure and the flow requirements is another major consideration, but the team at 4 Pumps is on standby to guide you in the right direction for your irrigation pump requirements. So depending on your irrigation system, you need to make sure the irrigation equipment fitted to it is not only great quality, but the right match. Get it wrong and your irrigation system may perform slowly, inefficiently or not at all. For that reason, the 4 Pumps range has been put together to cover the widest possible deployment of irrigation pump purposes, so that no matter what job you need doing, it's done right and it will last. But that's also why we put such a major emphasis on our generations of industry experience and our high levels of friendly and detailed customer service - because when it comes to getting an irrigation system working smoothly with all the right pipe fittings and in unison with your water tanks in a way that can be relied upon for years, you need the right equipment and the right advice! What sort of irrigation pumps does 4 Pumps stock? What sort of irrigation pumps and filtration, product or hose equipment will you find in the 4 Pumps range? We're glad you asked! Irrigation system needs are complex and diverse, so you may need an automatic water jet jump solution by Sparkle Pumps, which is great for boosting pressure for your drinking water, toilet, kitchen or even garden needs. Or perhaps it's a constant pressure pump like the one we supply from Bianco, which is made of stainless steel, works automatically and is perfect for clean or drinking water in 2 or 3 story dwellings. We also have auto multistage pumps for pumping irrigation water in larger applications, manual high pressure pumps which are great for dams and work very efficiently, pumps made especially for deep well irrigation, specific high pressure irrigation pumps when efficient management of water flow at higher pressures are your game, and more. It's this sort of variety in water and irrigation pumps that you'll find at 4 Pumps that means once you start browsing our range, you're sure to find the equipment you need. A range such as ours, supported by the expert knowledge of our team gained over generations of industry experience, will also save you money. How's that? Because the 4 Pumps range is so brilliantly designed to cover all possible irrigation system deployments, you won't be blowing money on something that isn't quite suitable for what you need it for. Get exactly what you need without paying a cent more than is necessary with the irrigation pumps at 4 Pumps. As we've suggested, the possible deployment of irrigation pumps is almost as diverse as your imagination. If irrigation is your requirement, rest assured there is a pump to handle that job. What exactly do those irrigation pumps do? We're talking about efficiently pumping clean or rainwater into dwellings, filling up toilets, washing machines, dishwashers and kitchen taps, generating the high pressure you need for a great shower, or simply boosting the pressure of an existing irrigation system. But there are also pumps for high volume applications such as pumping dam water, there are centrifugal pumps that work by spinning water with centrifugal forces, and submersible pumps which operate under water - motor and all! There are irrigation booster pumps which do the hard work of water transfer quickly and efficiently, and pumps that perform for high levels of flow and high pressure with the horsepower you need - and even this is not all the 4 Pumps range will do! Great irrigation pumps are also designed to work in just about any conditions - and in the often fierce climate here in Australia, that is of particular importance. But no matter how hard a life your irrigation system will have, how often it is used and where it is located, rest assured the irrigation pumps in the 4 Pumps range including the Aussie Pumps and DAB Pumps are there for a reason. That's because they're reliable, they work straight out of the box, and they are designed to work for a long time with little to zero maintenance thanks to being made of superior materials like stainless steel. So while all of the 4 Pumps irrigation and submersible pumps are of the highest quality and made by only the best craftsmen and engineers, what you need for your particular irrigation system is just as important. So no matter where you are or what your irrigation system needs are, if you're at all unsure, don't hesitate to tap into the generations of experience accumulated by our friendly service team. 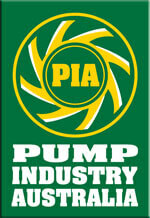 Commercial, domestic & irrigation pumps agricultural! If your irrigation is for a commercial sprinkler-type use, water transfer, bore water or boosting pressure, you'll need something that can handle high pressures and efficiency. Centrifugal pumps, on the other hand, are used in agriculture, while smaller irrigation systems will require less pressure and easier to manage flow, but they'll still be suitable for misting systems, drip irrigation for the vegetable growers, and the more common domestic irrigation systems seen around the home. It goes without saying that the most common types of irrigation equipment systems seen around Australia differ. Irrigation pumps Brisbane businesses and home owners use can differ from the pumps seen in South Australia for instance. So the irrigation supplies Brisbane farmers, home and business owners need differ accordingly. But either way, a smoothly-operating irrigation system makes life easier if it's done right. Depending on what your irrigation equipment system requires will affect the sort of irrigation pump you need - for instance, what quantity of water flow are we talking about? Do you need submersible pumps? How big is the area that is being irrigated? Are you looking for lawn irrigation pumps for sale, or farm irrigation pumps, or house water pumps to get water into those taps and appliances in the home? It all matters, but no matter what your requirement is, browse the range at 4 Pumps, get in touch with the experienced team, and you'll complete your transaction confident that your irrigation system will work first time and then keep working for years and years. One farmer, for example, may have farm irrigation systems for thirsty crops. Another may need diesel irrigation pumps for sale for other crop beds and fruit, and a third will be looking for irrigation pump sizing for established trees that require less water less often - and that's just a fruit farmer! This is an illustration of how important it is that all the irrigation pumps Australia needs are in one place with a dedicated support team - and that's what we offer here at 4 Pumps. Matching your irrigation system to your needs has never been easier than with 4 Pumps. A great irrigation system not only saves you time, it's much more efficient than the alternative, making your home or your business more productive. In short, irrigation pumps that are matched perfectly to what they're being used for simply makes life simpler - and 4 Pumps is where to get not only the best irrigation equipment, but advice and service that ensures the irrigation pump for sale you're buying is the perfect fit for your use. If you've made it to the end of our comprehensive guide to our range of irrigation equipment and water pumps for sale, you're more than ready to select the perfect irrigation pump or drop a line to the irrigation specialists here at 4 Pumps. Whatever you select is a great, trusted brand, constructed from only the best materials like stainless steel, and put together with the highest standards, great warranties, brilliant quality and the support team here at 4 Pumps ready to help you out further if you need it. Once installed, that irrigation pump will run and then keep running reliably, resist the harshest of harsh conditions they're exposed to, use energy incredibly efficiently, operate quietly, and keep you coming back to 4 Pumps the next time you need to set up a superb irrigation system! So get browsing, get chatting or email our friendly irrigation specialists, and start getting the most from a brilliantly functioning and reliable irrigation system today thanks to the team at 4 Pumps.